For us, customer satisfaction is based on years of experience. 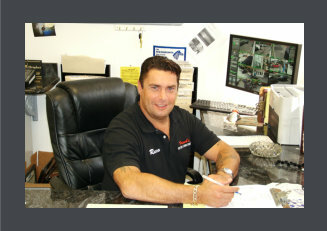 As our customers, you will receive the finest quality repairs available and guaranteed in writing. We are ready and willing to answer all your questions concerning the estimating or repair process. Our professional staff will assist you with your insurance company. Their training assures you of quality repairs placing your satisfaction first. Our policies and standards are designed to provide prompt, competent, courteous and professional service to our customers. Our philosophy, as professionals, is to exert every effort to eliminate problems before, during, and after the repairs are made. Modern facilities, the most advanced equipment, trained craftsmen who care, factory-compatible paints, and our written warranty add up to your satisfaction. We want your visit to our collision repair facility to be a positive experience, and we will continue to work towards that goal. But hey, don’t listen to us... read what our customers say and why they keep coming back to us.